Gladesville Bridge was officially opened fifty years ago on 2 October 1964 by Princess Marina, Duchess of Kent. It was designed by G Maunsell & Partners of London with the designs being approved by famous bridge engineer Eugène Freyssinet. At the time of its completion it was, at 305 metres, the longest single-span masonry or concrete bridge in the world. Its design features and innovative construction methods set new standards for bridge design and construction. Gladesville Bridge marked the transition from steel bridge technology, as represented by the Sydney Harbour Bridge, to that of concrete and confirmed the arrival of pre-stressed concrete as a major bridge-building material in Australia. It was the first major concrete arch bridge in the world that was built using precast segments and was one of the first bridges designed with the aid of a computer. 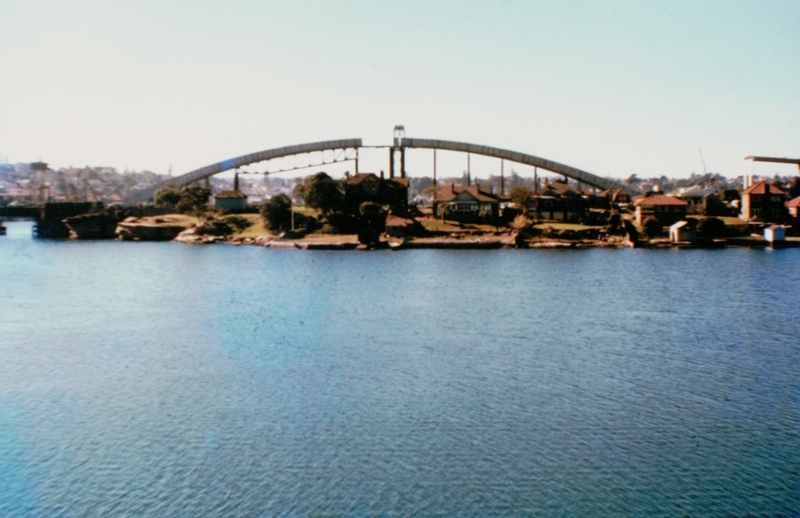 In 1965, Gladesville Bridge was awarded a Civic Design Award by the Royal Australian Institute of Architects and in 2014, Engineers Australia recognised the bridge with an Engineering Heritage International Marker. Local Studies holds a copy of the menu for the official dinner marking the opening of the bridge together with several photographs showing its construction. These can be viewed on flickr. Recently Five Dock Uniting Church celebrated 150 years of worship. The church has generously donated images of their activities over the years to be shared with the community through the library’s digital collection, ‘Canada Bay Connections’. Among the earliest photographs is one of the Five Dock Methodist Church (as it was then known) on Lyons Road, Five Dock. 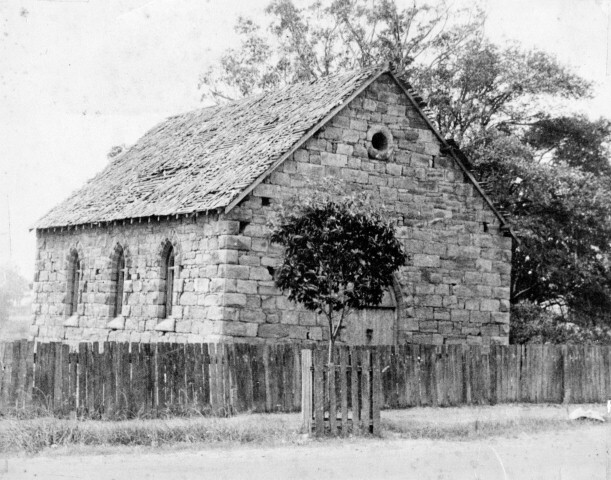 The Five Dock Methodist Church was built in 1866 on land donated by William Wright. It was sold in 1883 to Judge Peter Faucett when a new church building was planned and later on ownership passed to Drummoyne Council. The building was demolished in 1928. Behind the church can be seen a large turpentine tree, part of the original vegetation of the area. The church was located near the Five Dock Quarry which was filled in 1938 and later became the Five Dock RSL Bowling Club. Five Dock Uniting Church moved to its present location in Garfield Street, Five Dock in 1891.